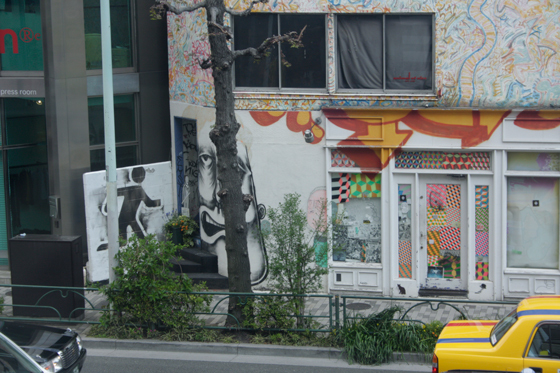 Japanese controversial artist collective, Chim↑Pom called out socially rebellious artists and is now holding an exhibition at WATARI-UM, The Watari Museum of Contemporary Art in Tokyo. 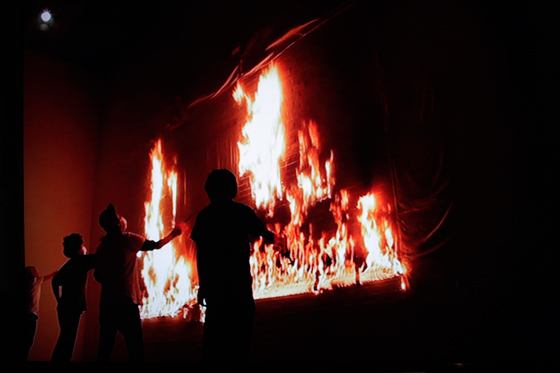 The artists are all challenging social problems that seem too complicated or unsolvable. Sometimes such problems are covered up by those with power and almost nobody is aware of them. 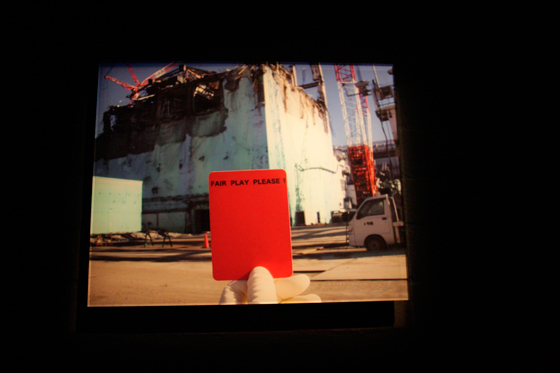 This is what the artists are fighting against—people’s indifference to the problems about nuclear power, authorities, capitalism…. Thanks to these artists, our awareness of issues taking place beneath the surface are heightened. Is there really any chance for art to change the world? Now, let’s take a look! 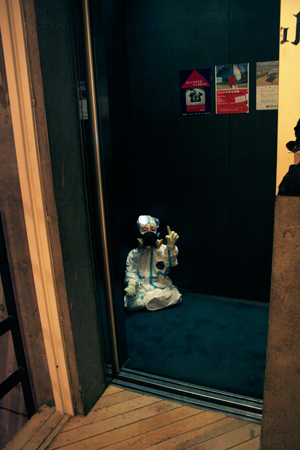 The moment the elevator door leading to the exhibition space opened, a small figure dressed in a hazmat suit welcomed us. Seen from a distance, it might look kind of cute, but actually it made us feel uneasy. His eyes were bloodshot and his face was pale. 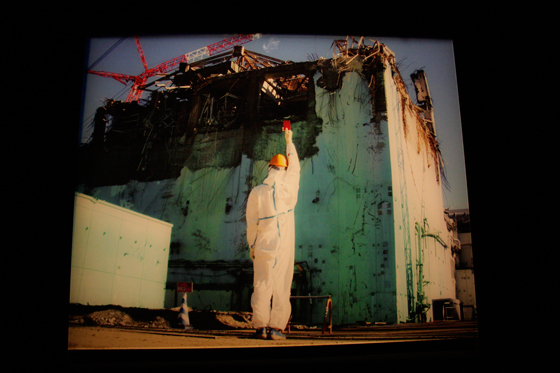 This picture and the first picture were taken at the Fukushima Daiichi Nuclear Power Plant. 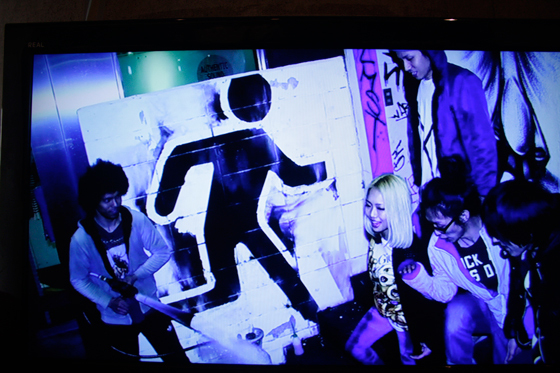 One member of Chim↑Pom actually worked there for 2 months. He recalls his experience, describing the job as “just the same manual job” that he had done before. But certainly, he and other nameless workers are/were working in an environment threatened by raditaion that cannot be seen. The red card he holds says “FAIR PLAY PLEASE”: an interesting Chim↑Pom-like expression. 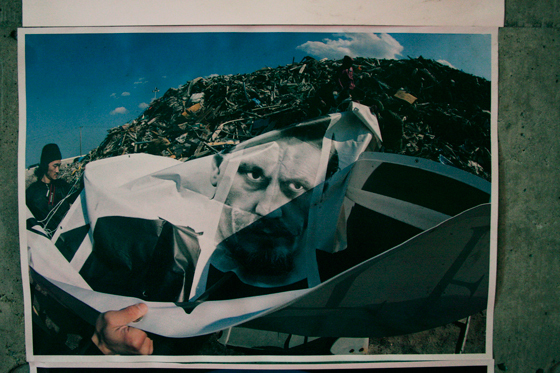 JR is famous for his use of photography as graffiti art. He takes pictures of people who suffer from poverty, discrimination and oppression, and puts their pictures on walls with local people. The speech was made when he won the TED prize in 2011. His works not only look cool, but they convey strong messages.. If you happened to be in New York and got this newspaper, you might get a kick out of this. In November of 2008, only a week after Barack Obama’s historic win in the Presidential election, this newspaper was handed out to rush hour crowds in Manhattan by over a thousand volunteers. 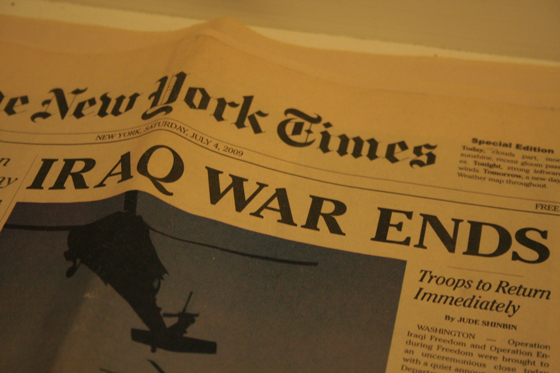 This special edition of the?New York Times carried only “good news” that people have long awaited. ?In the paper, you can find dream-like headlines like “IRAQ WAR ENDS”, “MAXIUM WAGE LAW SUCCEED” or “Court Indicts Bush on High Treason Charge”. Dated July 4th of the next year, six month after the distribution, the stories all describe what the future could hold, if Obama became president. Obama pledged to withdraw troops from Iraq and increase taxes for the rich in the 2008 presidential election. The first 2 headlines above satirize his campaign pledge and the last one is related to a prosecution by a government insider that it was George W. Bush who planned the 9.11 Attacks. The paper looked so real that people first thought that this newspaper was a real edition of the NYT, but as they read it, they realized that it was fake??. The documentary video next to the paper showed what was going on that day. This is a very clever way to make people aware of problems. 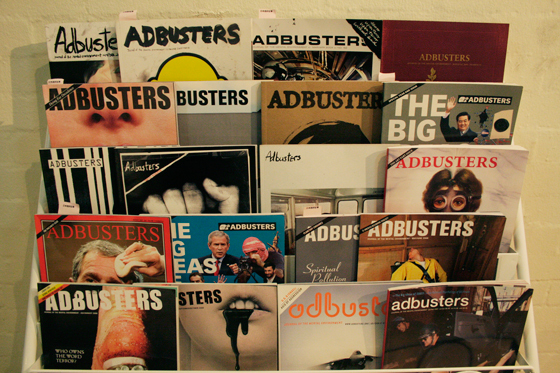 Adbusters is a liberal and independent magazine issued in Canada. Their name is composed of?the words “Ad” and “busters”. As the title suggests, it is an advertisement-free magazine that carries articles that are impossible to publish if it relied on corporate advertisement. They run their magazine solely on readers’ subscription fees. 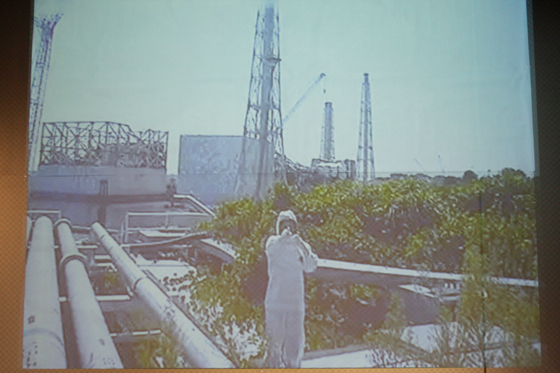 Finger Pointing Worker suddenly appeared in front of a live camera at the Fukushima Daiichi Nuclear Power Plant. He was dressed in a hazmat suit and pointed a finger toward the camera. Soon after he appeared online, Japanese media and people made a big fuss over who he was. 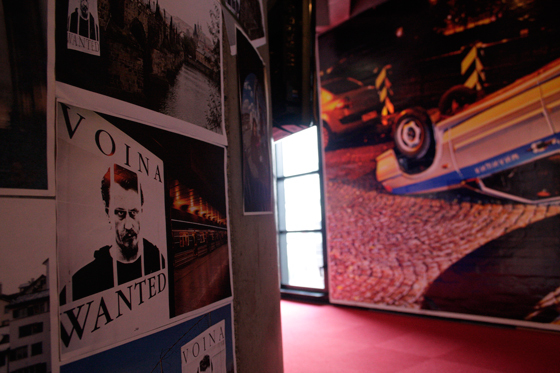 Meaning “war” in Russian, VOINA are known for their aggressive act against authorities like the Russian government or the Police, or the bourgeois. Here comes Chim↑Pom again! These yellow rats are one of the most important earlier works of the artist. They were once real living rats in the central area of Shibuya, Tokyo. 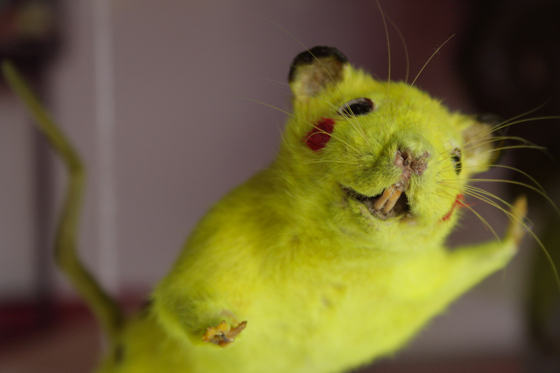 The artist captured them alive, stuffed and reshaped them as the famous cute cartoon character, “Pikachu”. These rats are a self-image of the artist who wishes to survive the modern crisis by growing and evolving. Look at the flames! Can you believe this took place inside the museum? ?According to Chim↑Pom, this drawing is an imagery of an emergency exit. It seems like we’re stuck in a pile of problems like natural disasters, unending nuclear accidents, a stagnant economy and politics. And art is still reclusive. This work is an attempt to raise awareness and a way to break through such problems. 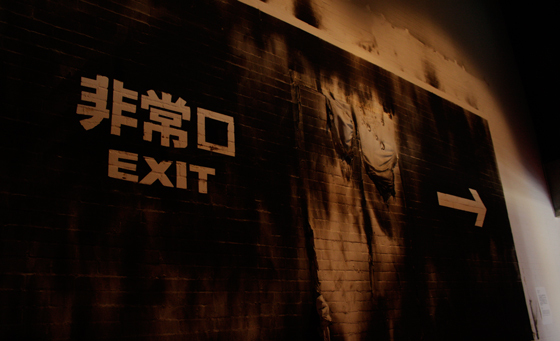 And….the Exit man has escaped the drawing to another wall across the street from the museum. Here he is! Could he be a symbol of a breakthrough in the overly complicated problems of our society?